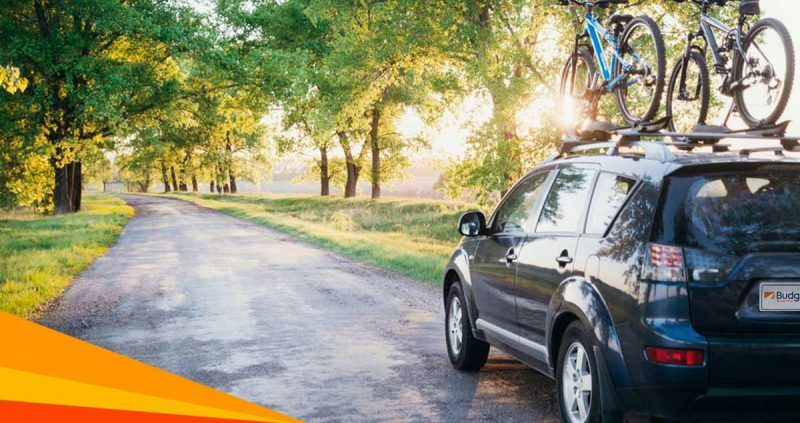 When traveling by road, especially when you’re on vacation, it is important to be very careful with the maintenance of the vehicle you’re driving in order to prevent the occurrence of any unforeseen event that may delay the trip or cause an unwanted inconvenience. Also, when you are traveling, it is best to drive efficiently in order to take care of the vehicle engine and to avoid using excessive amounts of fuel that may affect the budget. First of all it is important to emphasize driving most efficiently is the best way to keep up vehicle maintenance, ensuring that it is in top condition will improves performance. When traveling, the main care that should be taken with the vehicle is to check the engine oil and make sure that this at an optimum level, otherwise take appropriate action. In a rental car it is best to call the office for correct directions. Additionally, you should check the level of air in the tires since a level less than that indicated in the manual for the manufacturer increases gas consumption by 4%. Here are some tips for driving efficiently, in the most economical and environmentally friendly way possible, reducing costs and CO2 emissions. Turn on the vehicle without touching the accelerator and get going immediately after turning on the car. The “leting the car warm up” is a thing of the past because modern vehicles even consider engine temperature. Turn off the vehicle when it is to be stopped and waiting. Check the load of the vehicle, since the greater the weight, the greater the effort the car makes to move. The best thing to do is to leave the majority of your luggage at the hotel while using the vehicle during your vacation. Close the windows when driving on roads or high-speed freeways, this optimizes the aerodynamics of the vehicle and saves up to 10% in consumption and emissions. Open the windows when driving at a low speed within the city since the use of air conditioning increases fuel consumption and emissions by 5%, in addition to being on vacation this helps to enjoy the scenery and the local environment. Drive smoothly and at moderate speeds, trying to maintain a constant speed, as each time you accelerate hard the engine uses more fuel and it increases emissions. Braking abruptly wears the suspension system and the breaks out. And in this way you can avoid fines and protect the safety of passengers. Switch the long gears (4th, 5th, and 6th) to relax the engine, making it work at a minimal RPM, without accelerating too rapidly. According to the European Commission long gears consume less fuel. Use the first gear only to start and switch to second six seconds or six meters afterwards. Switch gears before hitting 2,000 rpm. Depending on the speed switch to 3rd gear from about 30 km / h, to 4th gear from about 40 km / h, and to 5th gear: above about 50 km / h.
All these measures to drive efficiently are enhanced when driving a car especially designed to maximize engine efficiency. VVT-i engines (or intelligent variable valve timing) such as the ones in our fleet have a variable technology of valve timing developed by Toyota Motor, examples of vehicles which have this characteristic are the Toyota Prado Rav-4, intermediate BeGo Daihatsu, the Toyota Corolla compact, and economical Toyota Yaris 1.3. Thanks to this technology these vehicles have a powerful acceleration while on the road and move around the city with ease. Which of them would you like to drive during your vacation? Book the one you want with us and enjoy an unforgettable driving experience.